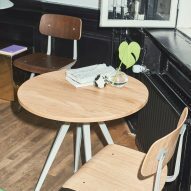 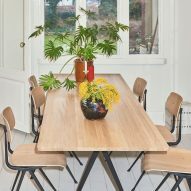 Hay and furniture manufacturer Ahrend are reproducing a collection of chairs and a table, originally designed by Friso Kramer and Wim Rietveld in the late 1950s. 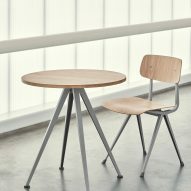 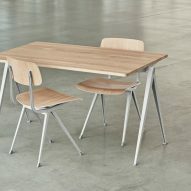 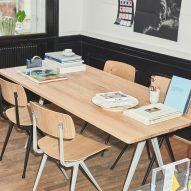 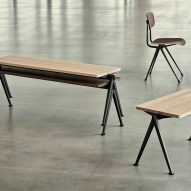 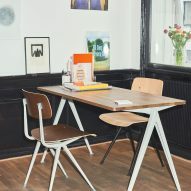 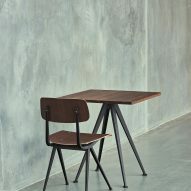 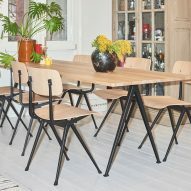 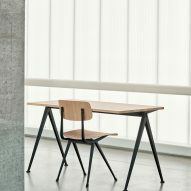 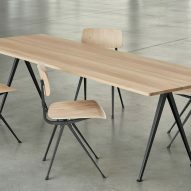 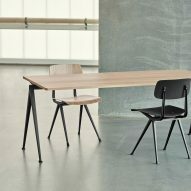 The Result Chair and Pyramid Table were typically used in Danish schools throughout the 1960s and 70s, and were designed by Kramer and Rietveld – son of Gerrit Rietveld – while they were both working for Ahrend. 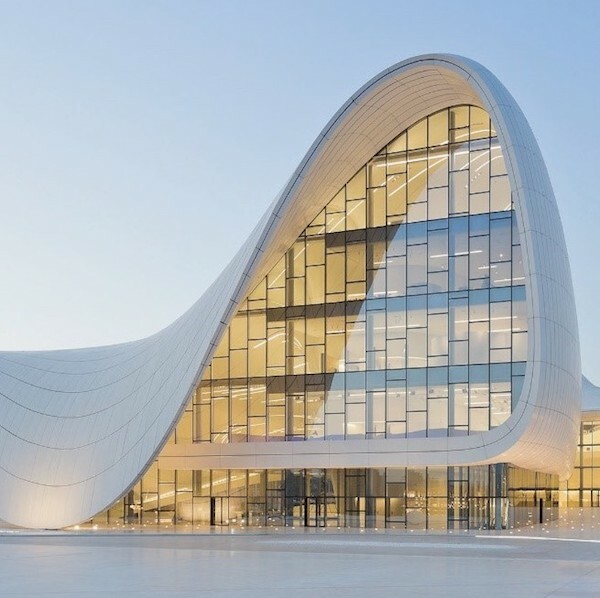 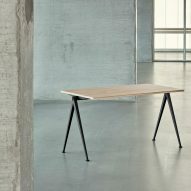 The collaboration between Danish brand Hay and Ahrend has been ongoing, but it was after Hay co-founder Rolf Hay paid a visit to the manufacturer's chief executive Eugène Sterken that this particular project came about. 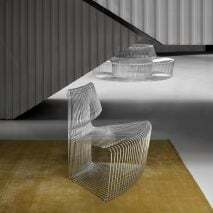 "I always liked the chair. 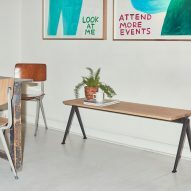 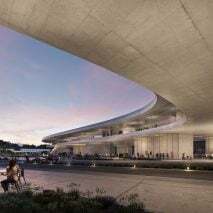 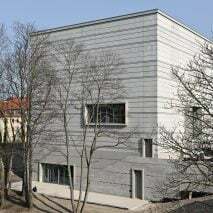 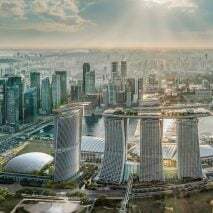 My wife and I went to Frieze art fair in London, and we could see the galleries were starting to discover it," Rolf told Dezeen at Stockholm Design Week, where the collection is being launched. 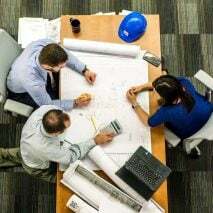 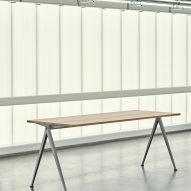 "Ahrend is an office furniture manufacturer, and they buy a lot of stuff from Hay for projects," he continued. 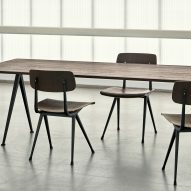 "By coincidence, I met with the CEO and I approached him with the idea of whether we could acquire the production rights for this product." 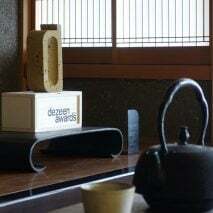 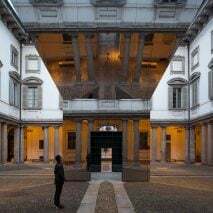 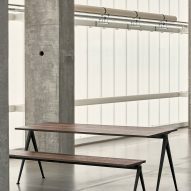 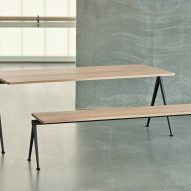 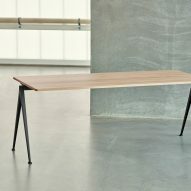 The two companies then collaborated on reproducing both the chair and the table, making sure each piece stayed true to its original construction and use of materials. 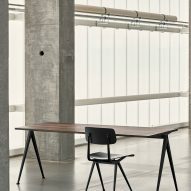 Made up of thin steel-sheet bases, and a fine oak seat and backrest, the Result Chair is designed to be light while being strong and retaining a level of flexibility. 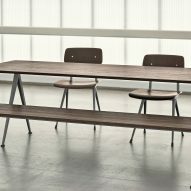 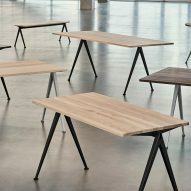 Similarly, the Pyramid Tables – which can be stacked one on top of the other – feature steel sheet bases with oak table tops. 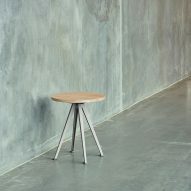 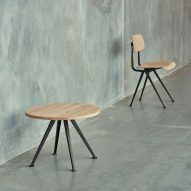 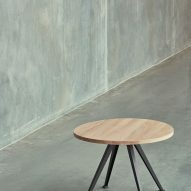 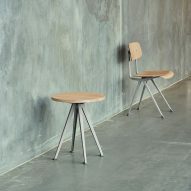 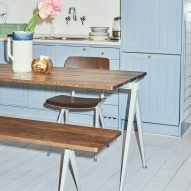 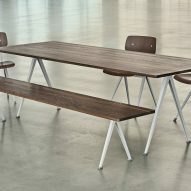 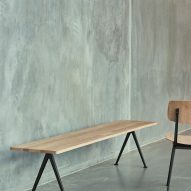 As well as the two original designs, the brands have also developed a bench and a table with a round top. 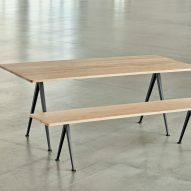 "When you do something like this it's about respecting what it was. 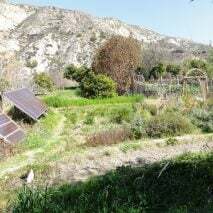 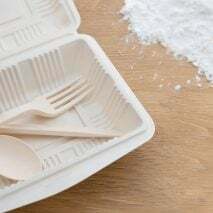 We just made it 15 millimetres higher than it was, but that's more or less the only thing," said Rolf, who founded Hay along with his wife Mette in 2002. 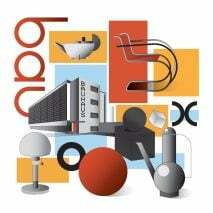 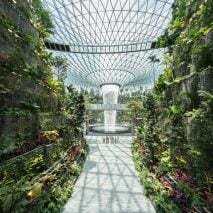 "In many ways, I think it fits Hay quite well because the approach to the project is very industrial. 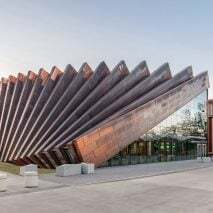 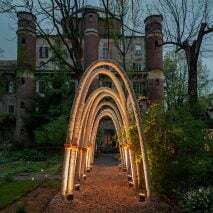 It was originally about mass production through working with thin steel sheets," he added. 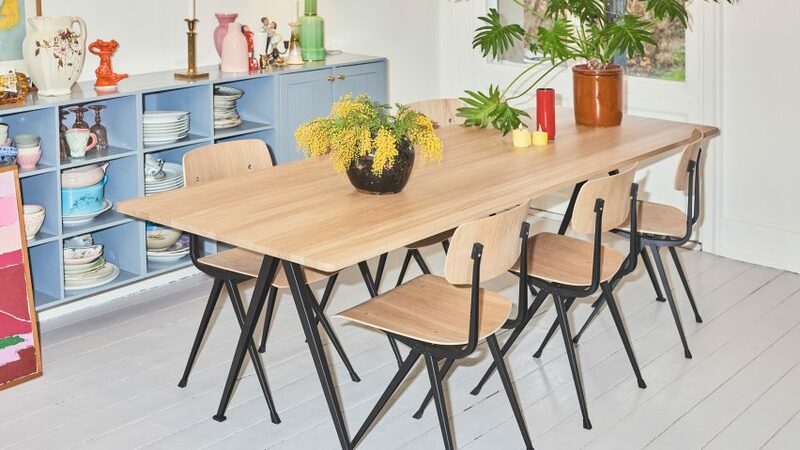 With interest in mid-century furniture showing no signs of slowing, the past year has seen a boom in design reissues, from the pioneering creations of the Danish modernists to the icons of Le Corbusier. 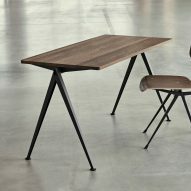 More recently, American brand Bernhardt Design released a collection of furniture by Charles Pollock that represents the mid-century designer's last work. 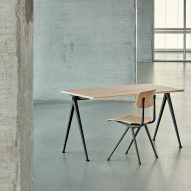 The Result Chair and Pyramid Table are on show at this year's Stockholm Furniture Fair, which is taking place as part of a city-wide design week until 11 February. 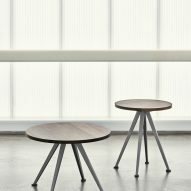 Other projects on show include a loop-shaped lamp inspired by a mini-golf obstacle and a striped flooring collection designed by Jean Nouvel for Bolon.